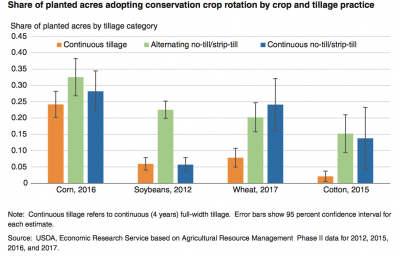 On Wednesday, the USDA’s Economic Research Service (ERS) released a report titled, “Tillage Intensity and Conservation Cropping in the United States,” which discussed regional and crop conservation tillage practices, as well as adoption of residue and cover practices. 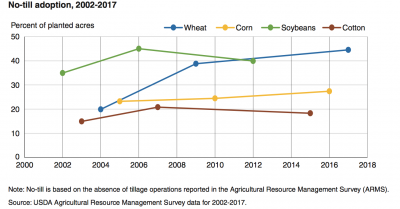 Today’s update highlights a few aspects of the report. 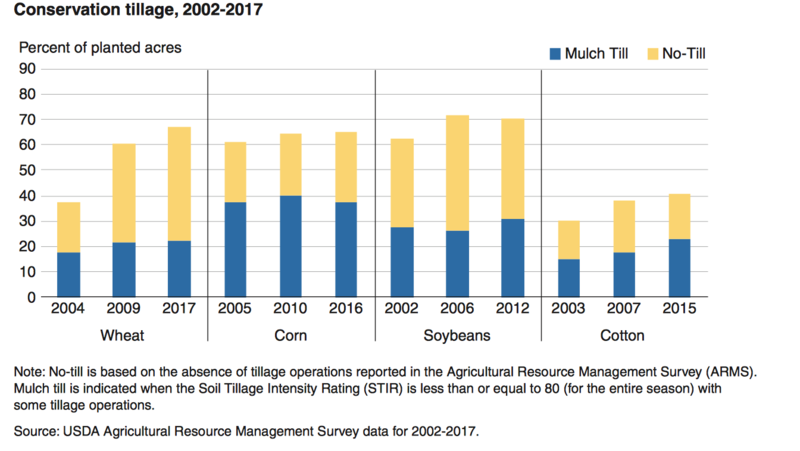 “More recently, USDA’s Natural Resources Conservation Service (NRCS) has identified soil health as a key focus for soil management,” ERS explained. 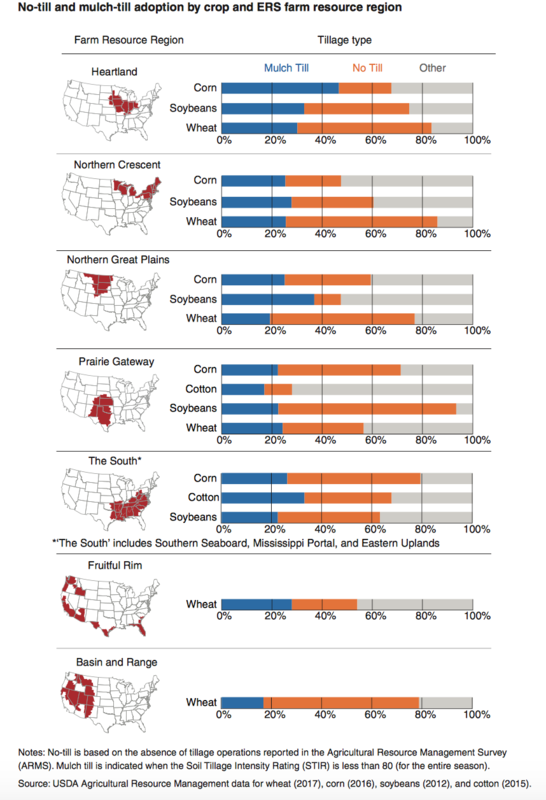 USDA, Economic Research Service. Roger Claassen, Maria Bowman, Jonathan McFadden, David Smith, and Steven Wallander (September 26, 2018). 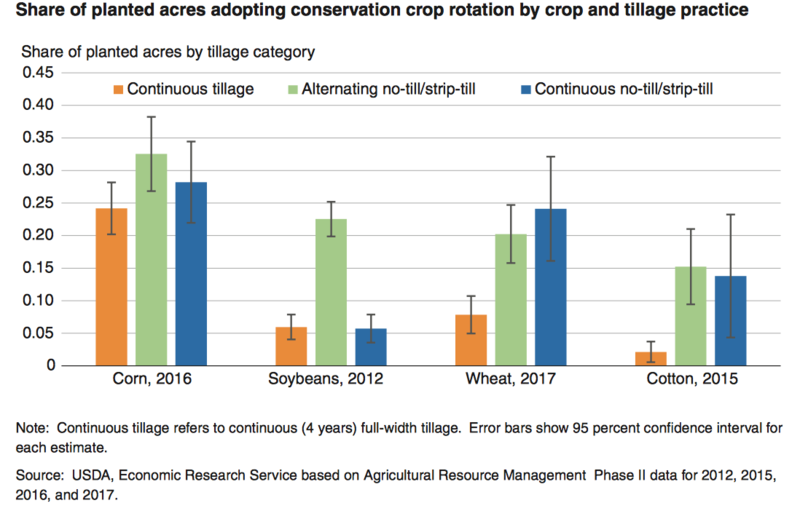 Tillage Intensity and Conservation Cropping in the United States, EIB-197 USDA, Economic Research Service. Roger Claassen, Maria Bowman, Jonathan McFadden, David Smith, and Steven Wallander (September 26, 2018). 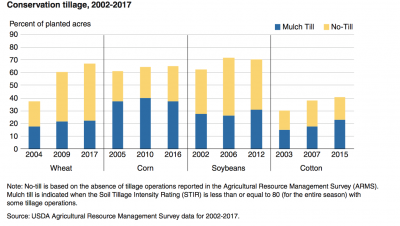 After analyzing data related to this issue, the authors indicated that, “Using these data, an estimated 21 percent of the combined acreage in the four surveys (corn, 2016; cotton, 2015; soybeans, 2012; and wheat, 2017) were continuously in no-till or strip-till in all 4 years. Continuous no-till/strip-till was most common in those fields where the surveyed crop was wheat. 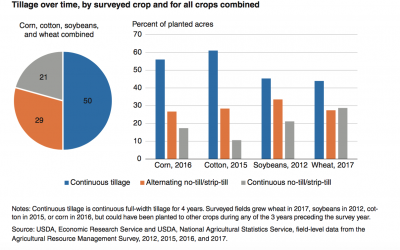 Continuous no-till/strip-till was least common where the surveyed crop was cotton. 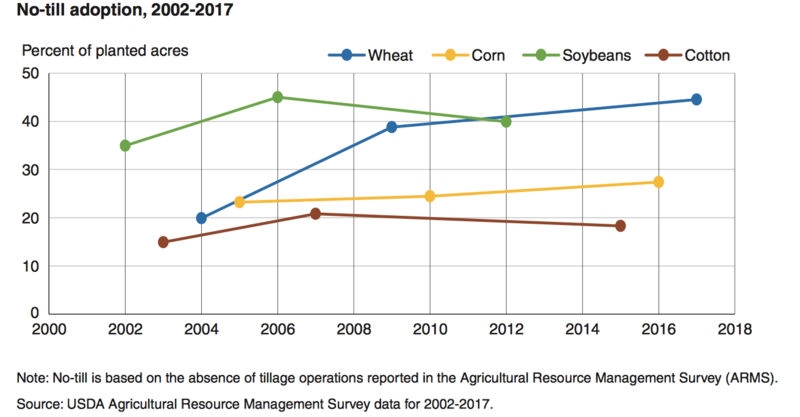 On Wednesday, the Federal Reserve Board released its February 2018 Beige Book update, a summary of commentary on current economic conditions by Federal Reserve District. 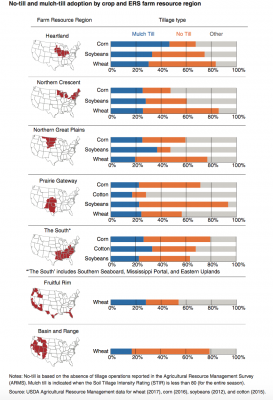 The report included several observations pertaining to the U.S. agricultural economy.